Most modern boilers have this type of burner. 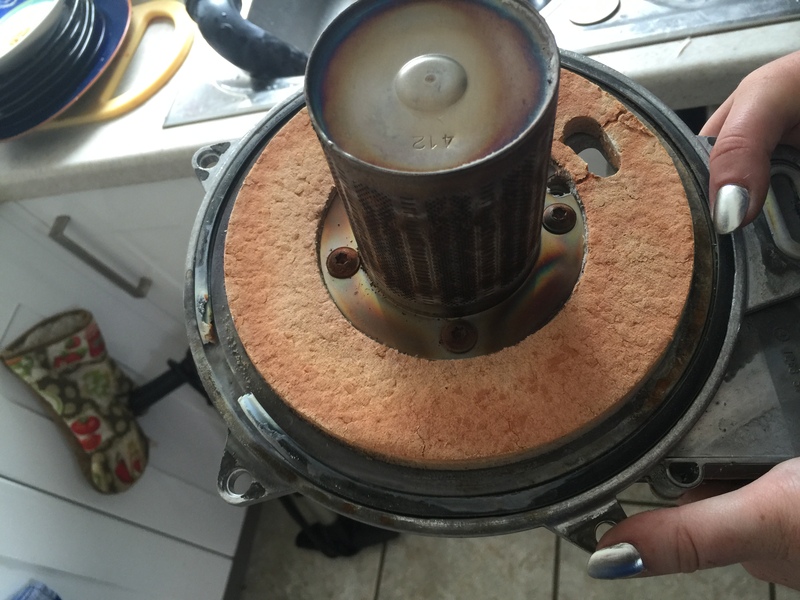 It is important that the circular gasket is changed reguarly. Hannah caught this one just in time. 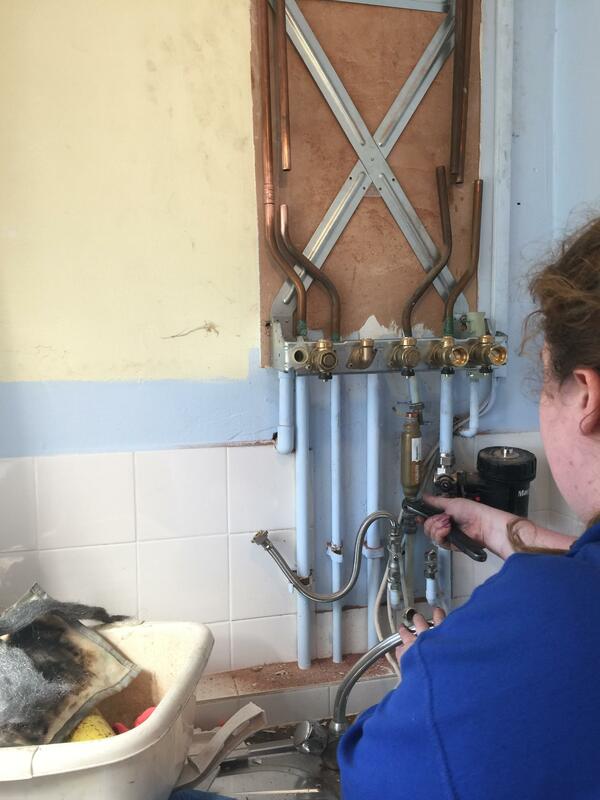 Failure of this gasket can cause massive damage to the boiler and could be unsafe. 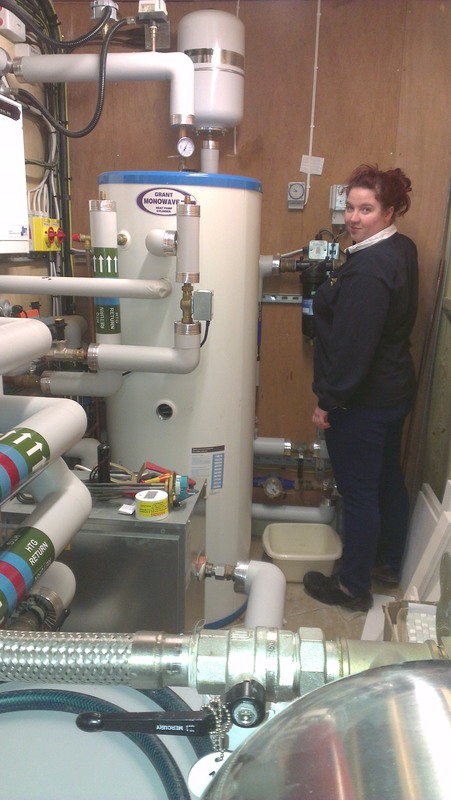 Hannah getting to grips with a large heating system, powered by an air source heat pump. 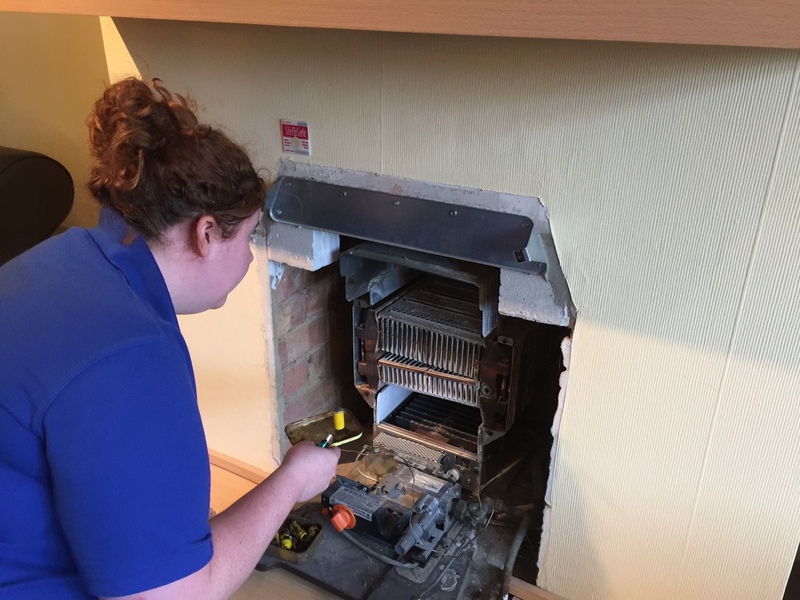 Back boiler servicing! 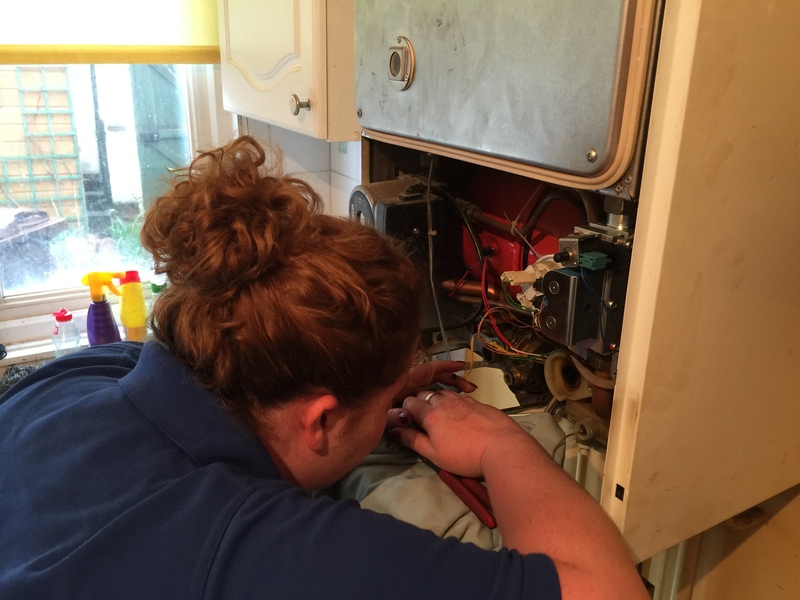 Serviced by the BACK BOILER QUEEN OF EASTBOURNE! 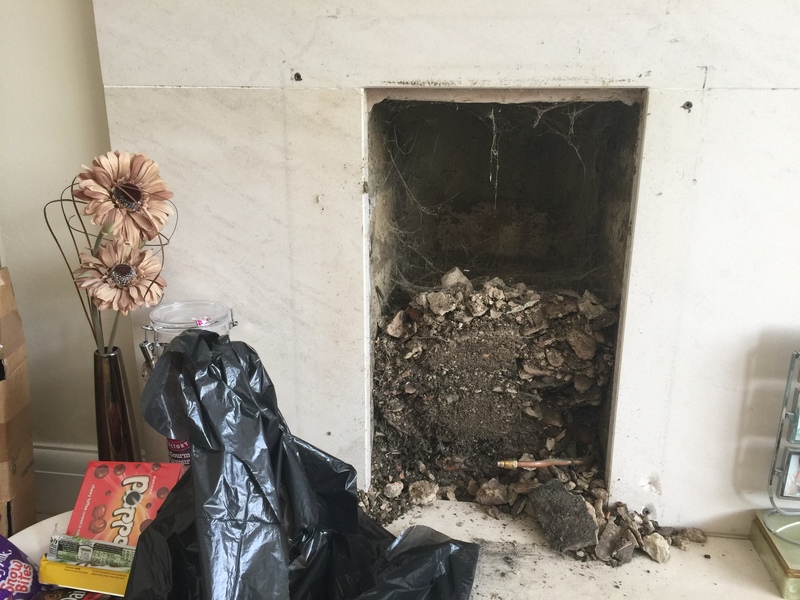 Just in case you don't think it's worthwhile getting the gas fire serviced.................. this was an accident waiting to happen.